Just what you been looking for! Pride in ownership is evident for this all brick custom home in desirable Dawson Creek neighborhood. This brick beauty had no expense spared when being built. From the paver driveway to the finished garage, down to the amazing electronic system covering the entire home! This is truly a move in ready and beyond home. Starting with the outside, a perfectly manicured lawn with garden beds filled with beautiful stones will definitely get your attention at night with the landscape lighting. As you enter the home you will find dark wood floors and tile throughout open areas of home as well as beautiful crown and trim molding. Custom Wooden shutters are in place throughout. Kitchen boasts 42-inch cabinets with dimmable lighting on top and under cabinets.Under cabinet lighting bounces off the backsplash onto the granite countertops for an elegant appearance to fit right in with home. Large bonus room is perfect for game room with doors to close off from rest of the house. The screened lanai makes for relaxing evenings over looking water behind home. Electronic system is top of line with speakers throughout home including garage and subwoofers located inside walls. Best of all no wires! All electronic system is stored in laundry room closet! Large Cabinetry flowing from laundry room into the 3-car garage makes for plenty of storage space. There are plenty of more details not stated above that you will find when viewing this custom brick home. 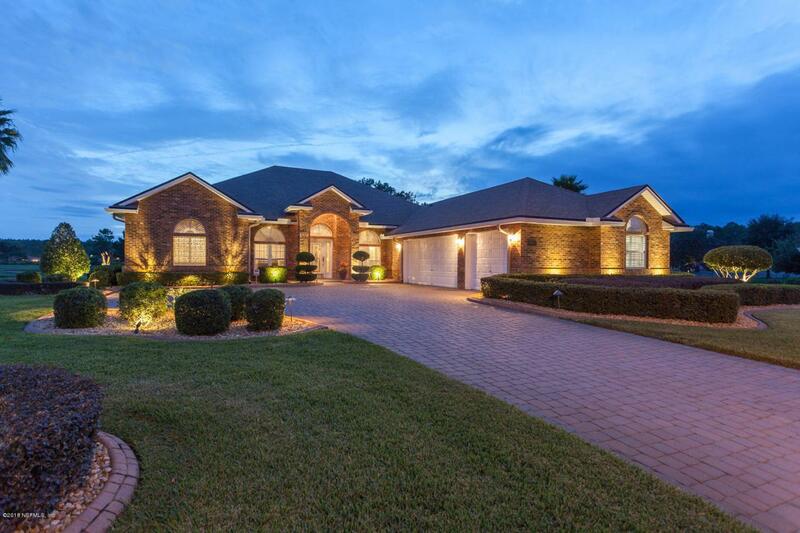 And last but not least, Home is located just minutes from Oakleaf Town Center and surrounding schools. Hard to find all brick homes any more especially with all this home has to offer so don't delay set up your showing today!